Prairie Studio, field image of Osage orange fruit, 2017, Pawhuska, OK/Oakland, CA. Courtesy of Prairie Studio. In the mid-1800s, Osage orange (Maclura pomifera) was heralded as the solution to the fencing shortage acutely limiting new settlement of the Great Plains. Largely unknown outside its native range in the floodplains of the Red River Valley, Maclura pomifera nevertheless became the most widely planted tree species across the nation in the years preceding the invention of barbed wire. 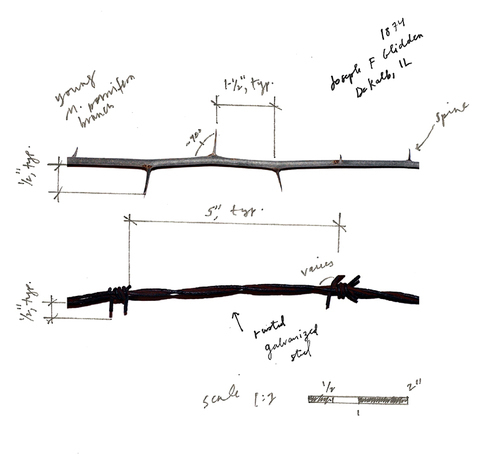 Today, these remnant Osage orange hedgerows offer a critical longitudinal index of ecological management on the Plains. 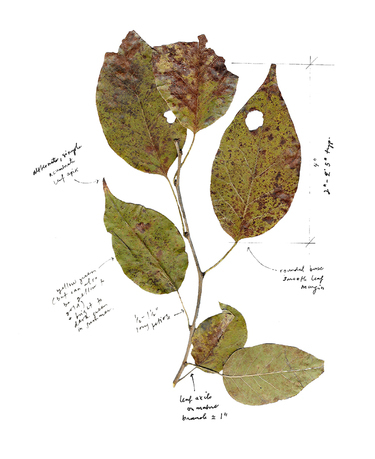 Using Gage County, Nebraska as a test site, this project negotiates archival and anecdotal knowledge of Maclura pomifera, constellating—and contesting—legacy horticultural regimes, present-day assumptions, and future botanical scenarios for the species. 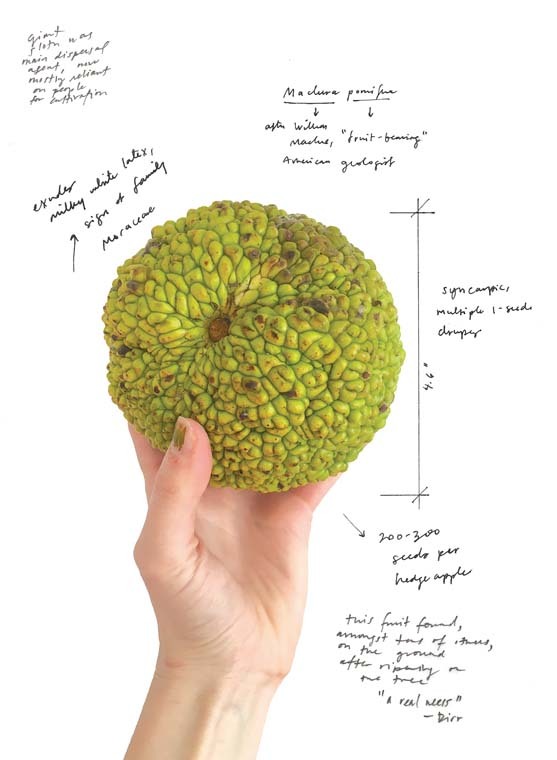 Osage Orange: A Design Manual is the first of four illustrated case studies in the Prairie Studio field series. Each edition explores keystone material drivers of Plains landscape infrastructure, addressing its subject's contemporary lifeworld and outlining opportunities for intervention. MK Smaby is a landscape designer based in Oakland, California. She directs the research and design collaborative Land Office, which explores the history and near future of horticultural technologies. She graduated from Harvard University's Graduate School of Design in 2013 with a master's in landscape architecture. She is an author of Wunderlust/Wanderkammer, published by Lars Müller Publishers in 2016 and was formerly a designer with Vogt Landscape Architects in Zürich, Switzerland. Carolyn Wheeler is a landscape designer based in Tulsa, Oklahoma. She founded the landscape design and research practice Fieldcraft, which seeks to engage vernacular landscape traditions with contemporary placemaking. She graduated from Harvard University's Graduate School of Design in 2014 with a master's in landscape architecture. Formerly she was a designer at Reed Hilderbrand and an editor at Princeton Architectural Press.